Accents rehearse a number from this past season’s competition set. Accents and junior Chloe Eades (far left) said she is proud of this past year’s accomplishments and looks forward to seeing where the seniors will end up after graduation. After a successful competition season, Accents will begin to rehearse for their spring choir concert on May 16. However, first, they will attend the annual choir program awards ceremony on May 5 at 6 p.m. 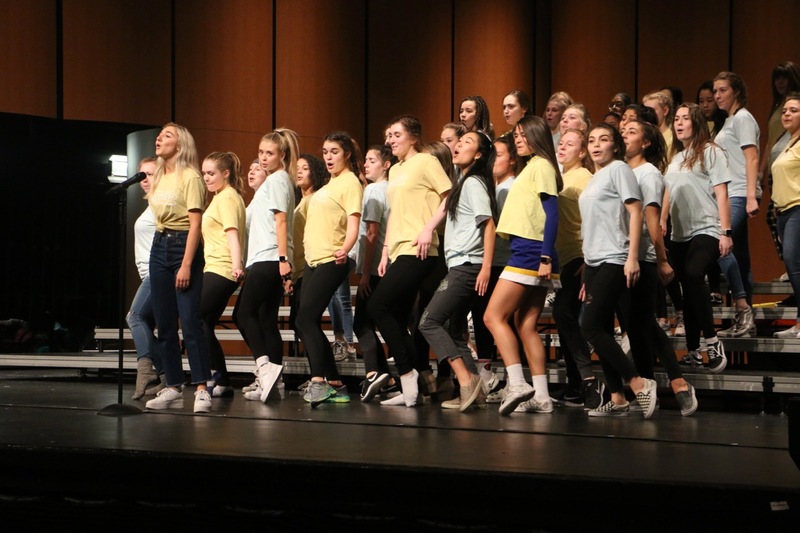 According to director of choirs Kathrine Kouns, the upcoming awards ceremony includes both serious and silly awards, a year-in-review video, a senior recognition slideshow and certificates and pins recognizing each student’s year in the choir program. “Each class does something we call ‘People’s Choice Awards,’ which is where they nominate people from their own class. (Examples include) ‘who is the most likely to succeed in music,’ ‘who is the biggest risk-taker’ or ‘who is the heart and soul of the group,’” Kouns said. 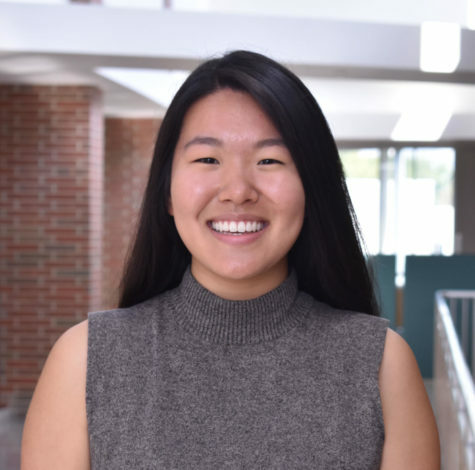 When looking back at this year overall, Kouns said this year’s Accents have a true bond of sisterhood that unified them as a choir, socially and musically, which she hopes will continue to the end of the year through their last concert.